You have an important decision to make. The Real Estate school you choose will influence your career for years to come. So how do our courses work and why do we think we have the right way to learn? Read on to find out. Have a busy lifestyle? So do we, so our courses are designed to accommodate real life learning. There is no rushed two day course where you might understand the topic or you might not. Our courses are available anywhere in the world, on any device in a self-paced learning environment. Learn when you can, on your time. We believe the best way to learn is to review, practice, then test. That is how our courses work. Read through the material, practice with activities and quizzes and then take the final exam for credit. Everything in our courses are designed to help you understand the material and not only prepare you for the exams but prepare you for your career in Real Estate. Our partners have invested heavily in developing learning systems that work on all computers and devices. The courses are simple to use and do not require special software or additional tools. In a rushed classroom environment, the instructor may or may not get to all the topics. What happens if they don't? Good Luck, you are on your own. Our coursework covers all topics thoroughly so you fully understand everything you are required to understand for the exam. 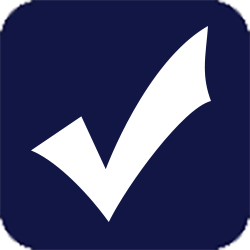 Besides meeting the state requirements, our providers earn additional certifications. IDECC and ARELLO are industry leading, National certifications with expertise in real estate and learning environments. Always look for these certifications when choosing your real estate school. We have partnered with the very best in Real Estate Education. From the best-selling real estate textbooks to industry leading online courses, our providers have up to 40 years experience in bringing high quality real estate education to you. If you are looking for courses that are knowledgeable about our industry, these are the courses for you. "In an effort to better equip its members to protect the public through quality education of its regulated professionals, the ARELLO Education Certification Committee has developed a set of Distance Education Standards that is applicable to all fields and professions. 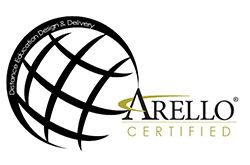 "ARELLO Certified" assures that important educational principles are being."